Potato chips are difficult to squeeze into a low-fat, low-salt diet, but I found a way to make my own with no salt and no fat thanks to a handy microwave device, Top Chips chip maker, that I bought last year. I’ve come to make them as a special treat from time to time, usually making one large russet potato into chips. Purple potatoes can be turned into fat-free, salt-free chips in minutes. I’ve written about salt-free potato chips I’ve bought as a substitute for the regular potato chips I once loved. 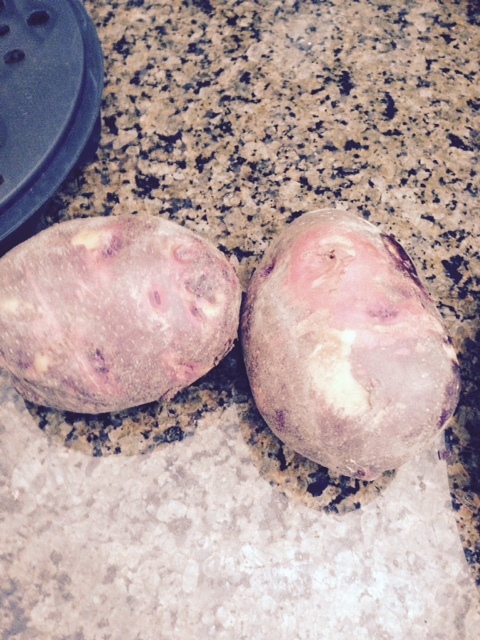 But while they were salt-free, they still are fat laden, so I’ve stayed away from potato chips, by and large. Recently, however, I found a microwave device that promised me potato chips in the micro in minutes, no oil needed. 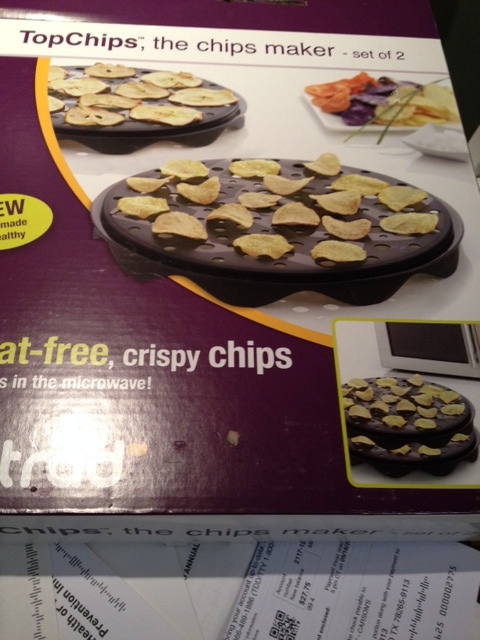 The idea was too good for me to pass up, so I bought TopChips by Mastrad for $20.95 at a kitchen store. TopChips make salt-free, fat-free chips to satisfy your potato chip cravings. Super Bowl Sunday is a time for lots of junk food while you’re watching the game, so it can be painful when you’re on a salt, fat and/or sugar-restricted diet. I wrote last year about some alternatives I’d found that included salt-fee chips. 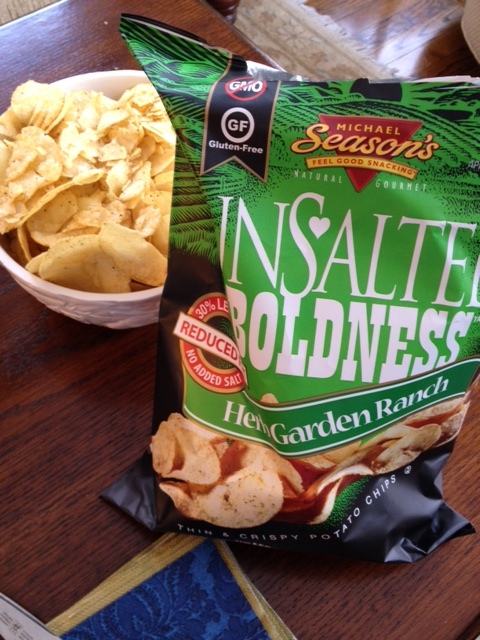 This year, I’ve tested out a new variety of salt-free potato chips that I found at Whole Foods, Michael Season’s. I tried two varieties, Herb Garden Ranch and Asian Bar-b-que. The barbecue variety tasted less sugary than other similar chips, a good thing if you’re watching your sugar. Michael Season’s unsalted chips were very tasty. 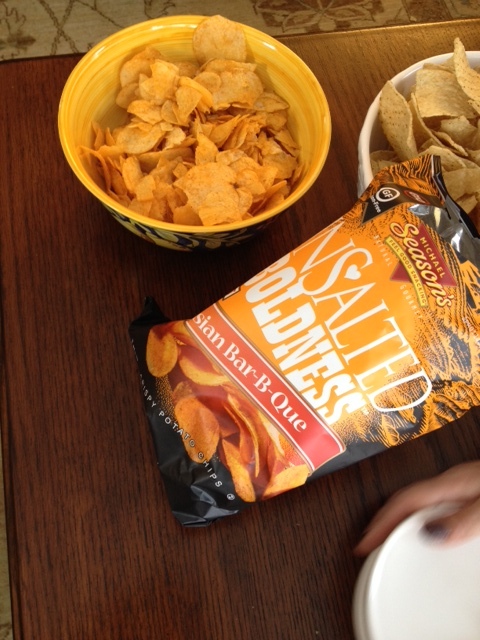 Season’s barbecue chips were my favorite.